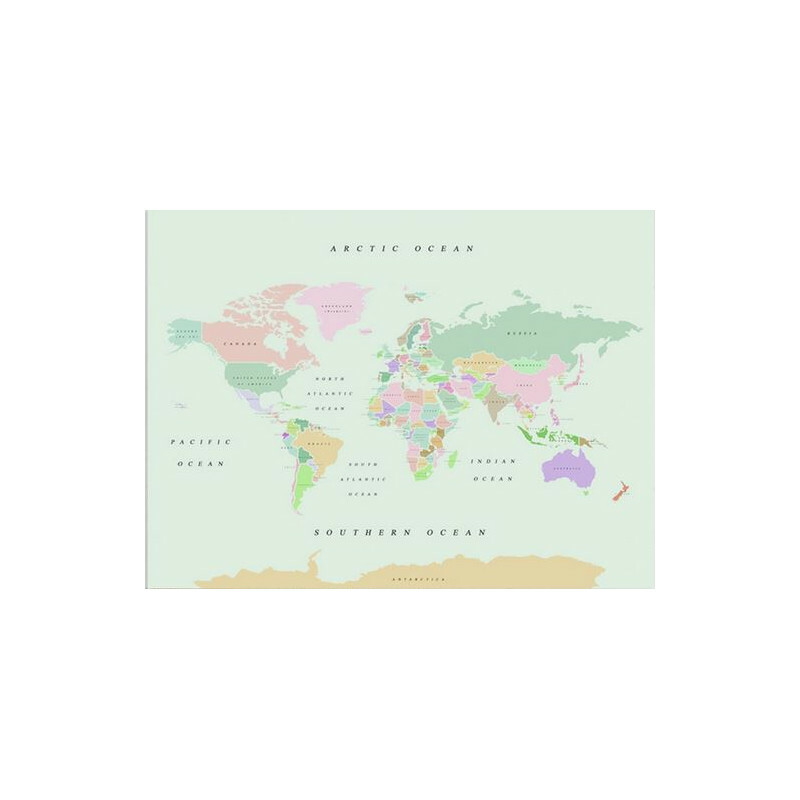 In opposition to the classical world map "Natural", the Woody Maps Watercolor is made in a much nobler digital printing design. More colors are applied on the cork material directly in their manufactory in Barcelona, Spain. Pick one out of four designs: Retro, Vintage, Terracotta or Old School! Each design is developed to stand out the crowd but at the same time fit well into every home. Retro: typical colours of the 70ies - funky! Vintage: pastel light blue and soft light brown creates a harmonious picture. Terracotta: nomen est omen! 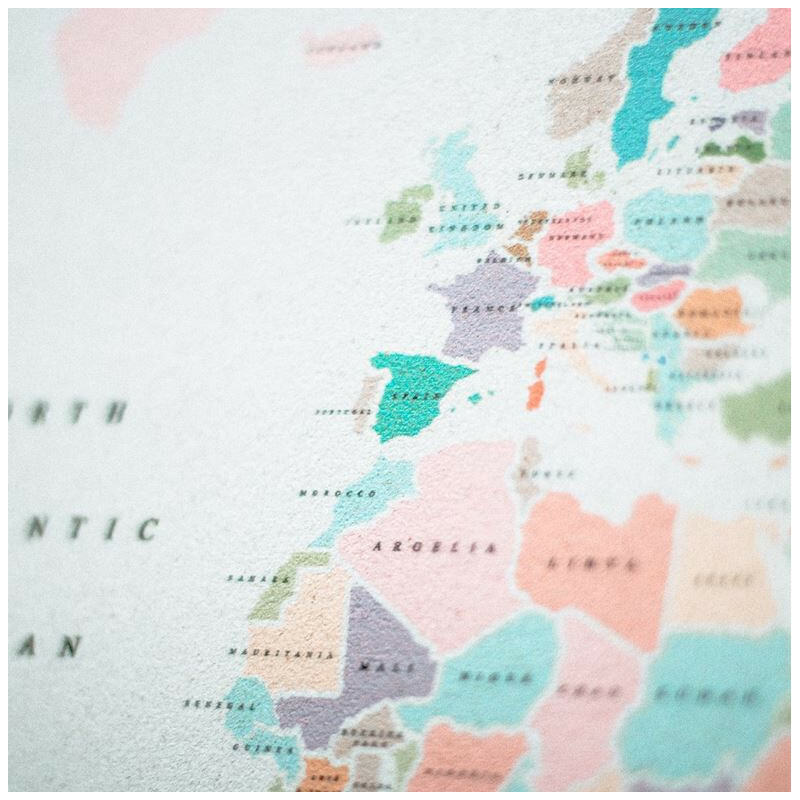 The card map was held in terracotta and rich green colors. 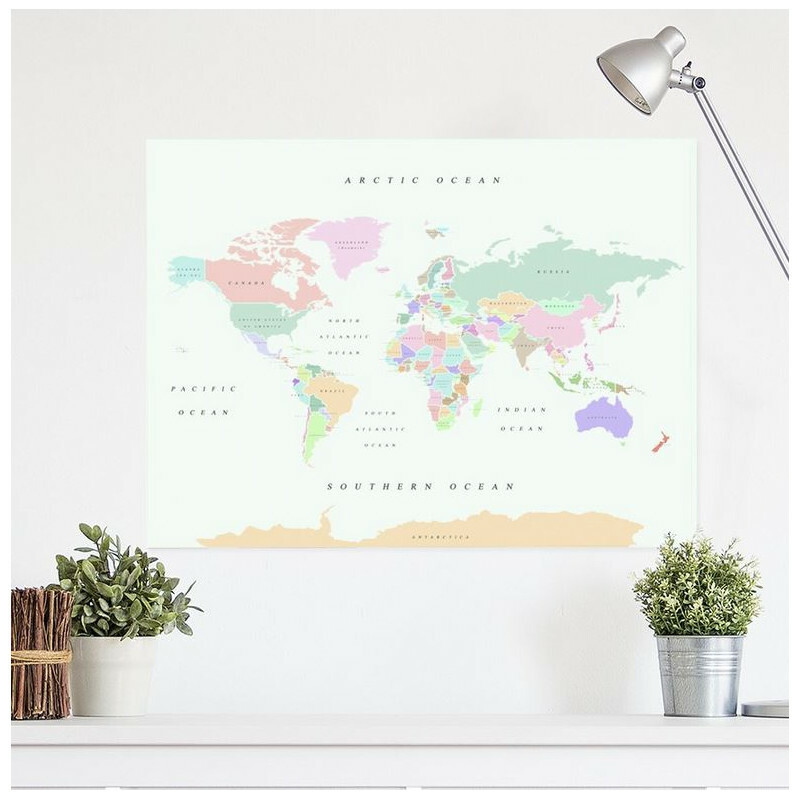 Old School: done on old, Shabby chic with a pastel colorful world map. 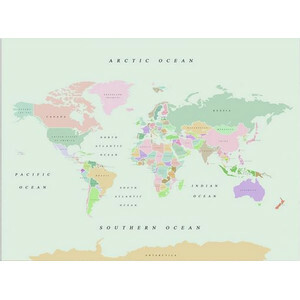 Thanks to these so colorful educational maps, it will be much easier to learn the countries and territories of Earth. 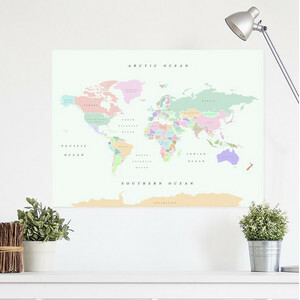 This map is the best gift for yourself or for beloved ones to learn geography without losing the didactic part of being able to locate and mark all the places you want. 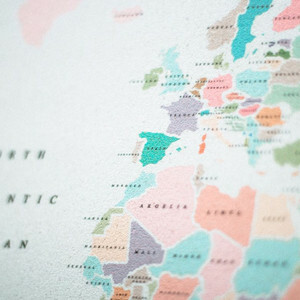 Exploring the corners of Earth has never been so fun. 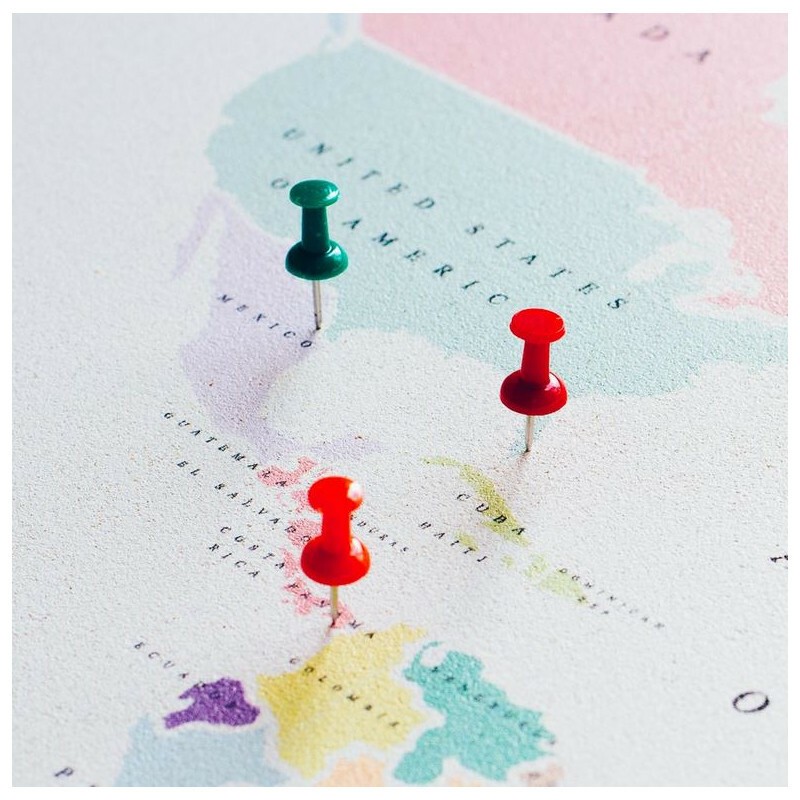 Please find additional flags to pin on your map in section "recommended accessories".